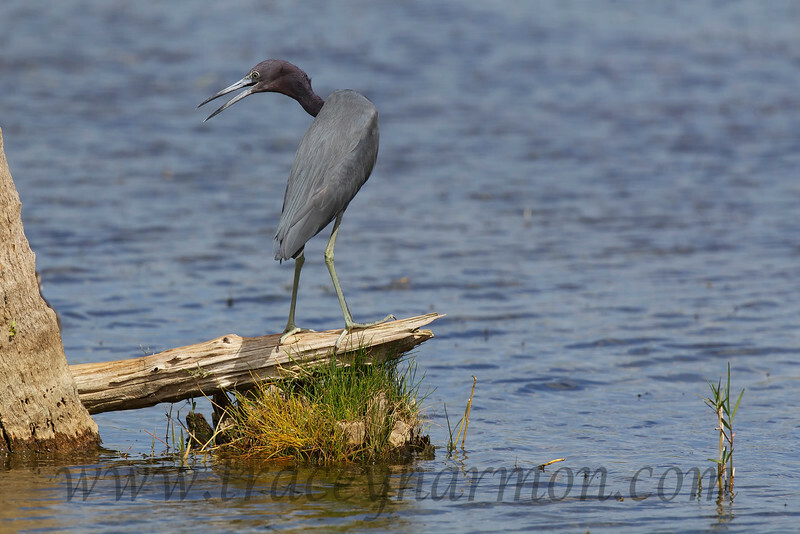 The Little Blue Heron is not blue while a juvenile. It is white. One often sees the white juvenile Little Blue Herons traveling with Snowy Egrets. This effort to flock with birds of a like color provides safety in numbers.